Principle objective of this case study is to Discuss various types of Social Classes of People. 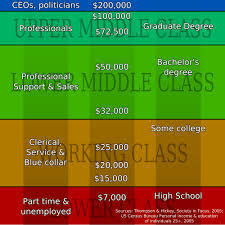 Societal class refers to several grouped people with similar degrees of wealth, influence, and rank. Sociologists typically use some ways to determine social class. Here briefly discuss on The lower class, The working class, The middle class and The upper class.